Have you noticed our facelift? After months of hard work, we are delighted to launch our newly revamped website. We just completed the first phase of our website and blog redesign so you can easily find the information you’re looking for. 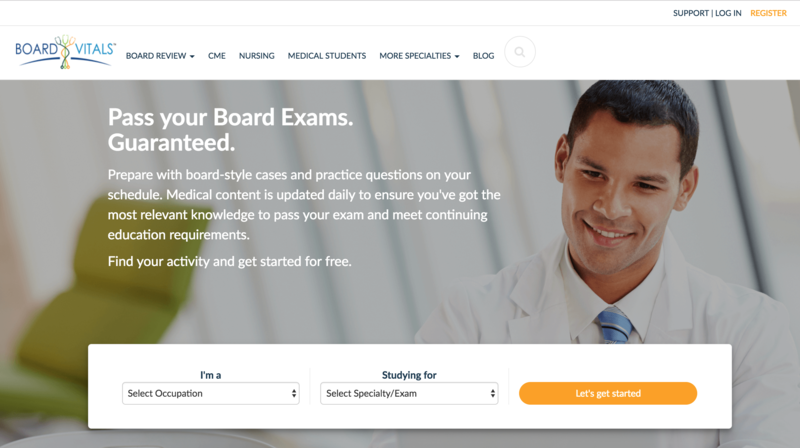 The BoardVitals blog has always been designed to provide you with useful information to keep you informed on healthcare updates, best practices for preparing for different exams, and free sample questions. Our blog now offers you more information available at one time. You can easily see our most read posts, access free content and browse by smart categories to find only information that affects you. In addition, we’ve added a live BoardVitals Twitter feed to provide you with our most recent news. Feel free to leave comments on any of our posts to improve, correct, or start a discussion with our content. If you have any blog post ideas or want to be a contributing writer, feel free to contact us at [email protected]. We’ve redesigned our website with a more streamlined look aimed to deliver a user experience more focused on serving up information relevant to your career and specialty. With our new activity finder on the homepage, now you can find just what you’re looking for by entering your occupation or student status and the exam prep or CME activity. This allows users to see question banks, other information about test formatting, tips & tricks for studying, CME activities, and much more. If you can’t find exactly what you’re looking for, use the new search bar to quickly navigate to the right page. Among the changes are new category pages by occupational areas to make it easy to find related activities all in one place. 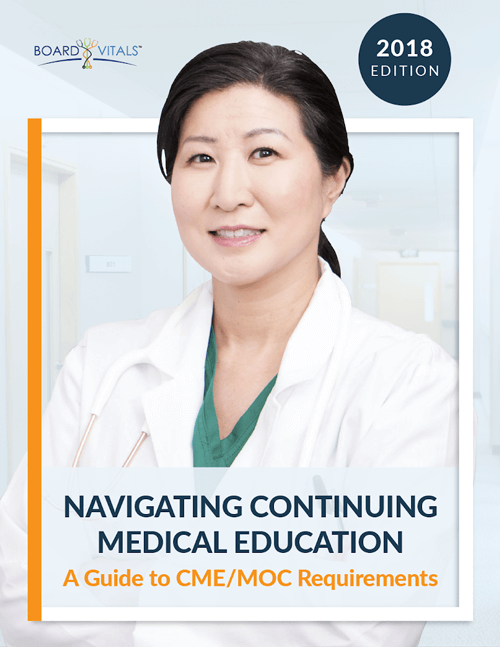 You’ll find initial board certification prep for physicians, recertification exam prep for physicians, CME activities, nursing exam prep and activities, medical school exam prep, dental exam prep, podiatry exam prep, allied health exams, and more. Find out more about our GiveVax philanthropic campaign as well as other information about how BoardVitals works and is used by more than 100K clinicians nationwide. See how you can help save lives — we donate one vaccine to a child in need for every activity sold through our site — and help us reach our vaccine donation goals by choosing BoardVitals. Our new self-service ‘Support’ portal and knowledge base is much easier to use. 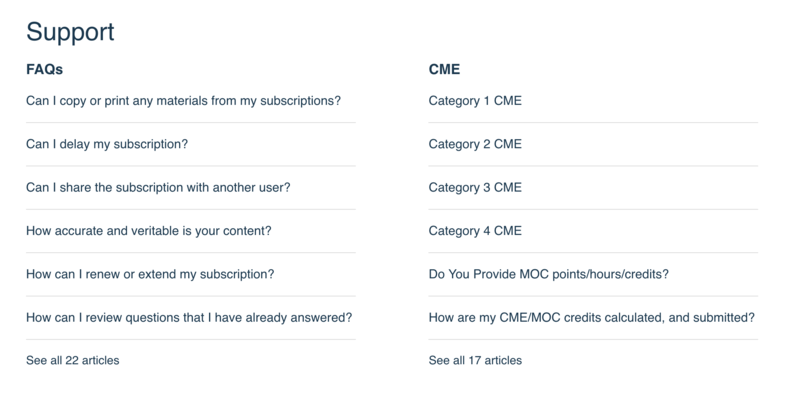 Our members can find FAQs and in-depth help articles to answer your questions and help you use the BoardVitals platform more effectively. And if you can’t find what you’re looking for, you can always reach out to us via phone or email and we’ll be happy to help you. We hope the new website provides you with a more user-friendly experience to find the information and activities that are important to you. We love getting feedback so we can continue to improve the experience for you. Let us know what you think or feel free to contact us with any issues you might be having.